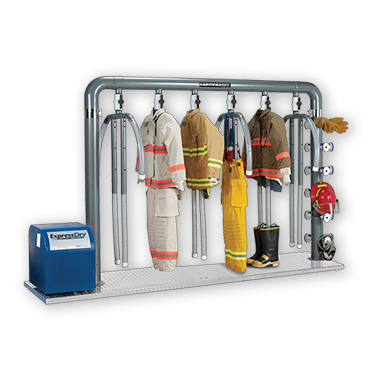 ExpressDry Gear Dryers work by blowing high-pressure ambient air safely through turnout gear, facemasks, gloves, boots and gloves. 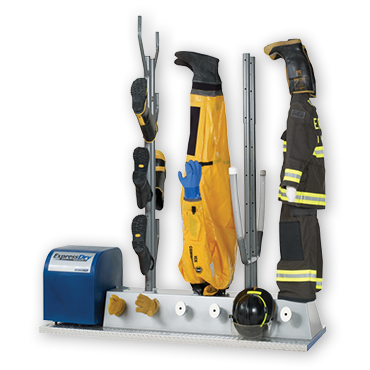 NFPA compliant , they safely dry protective gear and return it to service sooner. Harnessing a patented design, RAM AIR Gear Dryers use powerful fans to blow air through hanging gear – from the inside out. 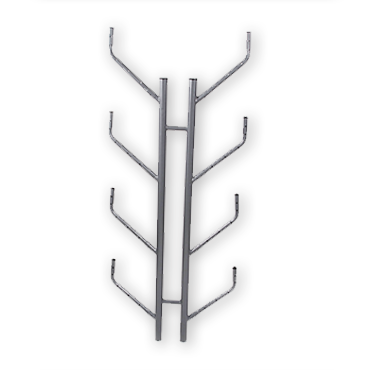 Rather than waiting days for gear to dry, fire departments rely on Ram Air Gear Dryers to gently dry gear in just a few hours. Ram Air Gear Dryers limit air loss and are available in heated air models (4-HMU, 6-HMU) and ambient air models (4-MU, 6-MU). Designed for drying HAZMAT, immersion and ice-rescue suits upside down. Adjustable to any size gear, it quickly and efficiently dries personal protective equipment without turning gear inside out and causing damage to the gear. Express Heated-Roll Ironers offer no-wax finishing for significantly simplified maintenance and an unrivaled finish. Perfect for on-premise and commercial laundry ironing in less time, Express Ironers are durably built and backed by a 7/5/3 ContinentalCare warranty. 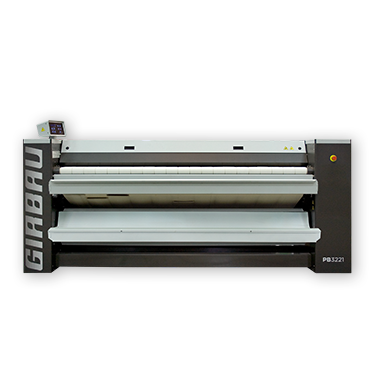 The 20-inch Express Ironer offers an optional integrated folding system that automatically folds items as they exit the ironer. Highly flexible and boasting remote G-Flex diagnostics, the PC-80 Flatwork Ironer perfectly irons items straight from the washer – eliminating dryer conditioning. Engineered to improve productivity at mid- to high-volume laundries, the PC-80 reaches ironing speeds of 147 ft./min., boasts up to 93 percent efficiency, and offers 100 custom programs. 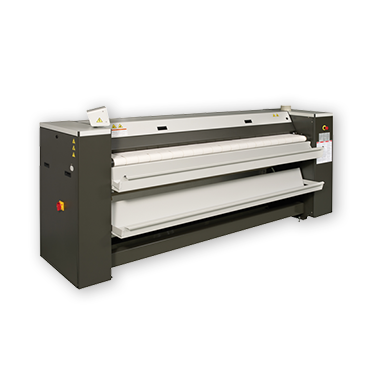 The PC-80 Flatwork Ironer features a rigid chest, mirror-polished surface and large-flow channels for even heat distribution and flawless ironing results. Its Inteli Control provides complete control over all ironing parameters, including bed temperature, ironing speed, pneumatic Pressure Control and AutoSpeed. PC-80 Ironers, in gas, steam and thermal oil, are backed by a 7/5/3 ContinentalCare warranty. 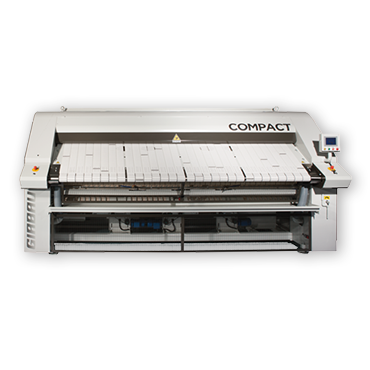 The Compact 5-in-One automatically and quickly feeds, irons, folds, stacks and accumulates. It does all this from a small footprint at processing speeds reaching 50 feet-per-minute. Engineered to boost productivity at medium- and high-volume laundries where space is tight, it features a touch-screen control with 20 pre-set and 20 customizable programs – offering control over multiple ironing parameters. It is configurable for one, two, or four working lanes, with one lane for sheets, two lanes for table linens and four lanes for small items. The Compact 5-in-One also provides standard, four-lane accumulator options and single- or two-lane cross-folds using air jets, reversing conveyors and knife blade assistance, as well as stacking. The Compact 5-in-One offers multiple options to meet specific ironing and folding needs. 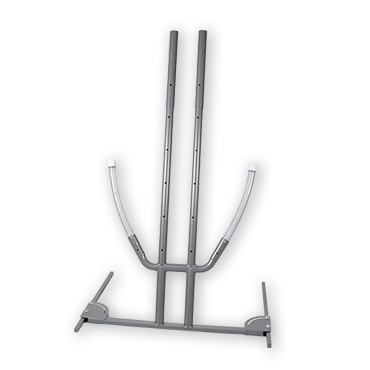 It is available in natural gas or liquid propane (LP) heat and is backed by a 7/5/3 ContinentalCare™ warranty.